How come a Capricorn be so unruly, messy and lack of administrative skill?? Yeah guys, I am talking about our beloved didi Smt Mamata Banerjee The Chief Minister of one of the most thought provoking , culturally aware state West Bengal. Any politically aware Indian who follow the political scenario thoroughly can say how the picture had changed drastically in Bengal in the recent years. I am not claiming it was picture perfect before she came to the throne but when she came people of Bengal and well wishers of Bengal thought she might bring some relief to the people of Bengal but things are actually pretty messy and unorganized. One of my brief journeys to somewhere Western part of the country I heard from one of my co passenger how much Mamata Banerjee earned disgust and disrespect from people of India throughout. He said ” India has great respect for women but if she appears so harsh and disgraceful people will forget to respect women.” I dont know in which era he is living now, people have already forgot to respect women , yes he could have said that she is an overdose to bear. She is a Capricorn Jan born woman…………..harshness is very common to them but at the same time Capricorns are very goal oriented people, they know what they are doing , very much aware of the commitments, well organised and all the good qualities of good leader are presented in their traits. Yeah friends you might say she could be the exception but one should know what leadership means when you are representing a State in the forum of Nation. I know if anybody challenges her what is the action agenda for the coming five years for Bengal she could not produce any data for it. Her answers are very vague and her body language is not up to the mark. She should have genuine well wishers around so that she can proceed properly for the work she has been chosen to do…… not to prove to the people of Bengal that they are bunch of idiots to elect her for such responsible job. On 26th May 2014, the very day our honorary Sri Narendravai Damodardas Modi had taken the oath as India’s 15th Prime Minister, various other incidents had also come into focus simultaneously. As we all know Pakistan’s Prime Minister Mr Nawaz Shariff had marred all the speculations by his mighty presence in this ceremony [military disturbances around border area was heard as an agitation to this] so is Vaiko’s protest in Jantar Mantar , New Delhi against Sri Lankan President Sri Mahinda Rajpaksa’s presence as honorary SAARC country delegates in the ceremony. Giving full respect to Mr Rajpaksa and his military invasion to settle peace and order in his country , I would like to say if the Tamil people residing in Sri Lanka wont feel secure and safe they can appeal to India Government and if they feel India’s intervention could make difference in some way or they want rehab they need to write and send representative who can give authentic information of the present scenario without any political color. I know any sensible Indian who had seen Vaiko’s protest video would be somewhat disturbed to know that things are still so brutal with Tamilians in Sri Lanka. We have heard that Vaiko met with our honorary Prime Minister Sri Narendra Modi and our home minister Sri Rajnath Singhji on the very context. But things should be judged from some neutral source so the information will be accurate and impartial and anyway if there is any role which India Govt can play for their support or aid it must be known to them . Today is a big day in the History of India. We all know the result of the recent election……………a landslide victory for Narendra Modi, everywhere in India BJP has got envious majority. Today 26th May 2014 Mr Narendra Modi is going to take oath as India’s 15th Prime Minister. I thought to share a small story about Dr Shyamaprasad Mukherjee…………….I am not going in depth about his political career ……………[because it is irrelevant in the present context], I am coming to the story next. Dr Shyamaprasad Mukherjee and Dr Bidhan Chandra Roy were very good friends. Once Dr Shyamaprasad Mukherjee told Dr Bidhan Chandra Roy “if anyday I will be in trouble I will telegram you with a certain CODE NUMBER……..while receiving this you take the necessary action to reach me”.He then gave Mr Roy a code number. The code number was only known by Dr Bidhan Chandra Roy and no one else. Mukherjee’s work create havoc turmoil in the political scenario of India as well as in his personal life. He died in Jammu and Kashmir after being arrested. He was sick and was injected penicillin and he died as he was allergic to insulin. It was said that doctor was previously informed about that. His death stirred the whole nation ……………..people wanted to know the reason behind this filthy carelessness. There were inquiry commission, lots of agitation shown by various political parties but with time everything stopped. People finally accepted that their favorite leader is no more. But the controversy was there around his mysterious death. Years after……………my dear friends the story is starting now…………………one fine morning Dr Bidhan Chandra Roy was going through his newspaper with the morning tea………….suddenly a news gave him a feel of chilling stream down his spine. It was a news pressed by a young journalist that another fresh inquiry has been started about Dr Mukherjee’s death where a code number is confusing the entire issue. Dr Roy dressed up immediately and went straight to that newspaper office for searching the young journalist. After finding the address he went straight to his house to know how come he know this number?? At first the journalist was not ready to say anything to Dr Roy……………but later understanding the power and status of Dr Roy and apprehending what he can do to make him tell the truth, the journalist spoke honest . He said he did planchette and brought the spirit of Dr Mukherjee …………….and only this code number had come as an answer to all questions. Dr Roy was dumbstruck. He only said ,” It was for me” and went away. May be Dr Mukherjee wanted Dr Roy for his treatment in his ending days[ Dr Bidhan Chandra Roy was immensely gifted physician, legendary stories are found about his uncanny ability of medical diagnosis] . Political assassination was nothing new in World Politics, many a times the conspiracies had been detected but here things are a bit awry its not it? What do you think? HOW A MOTHER SURVIVED HER SON’S DEATH…………….. If survived, HE COULD HAVE BEEN ONE OF THE MOST RUTHLESS AND AGGRESSIVE POLITICIANS INDIA HAS EVER PRODUCED. 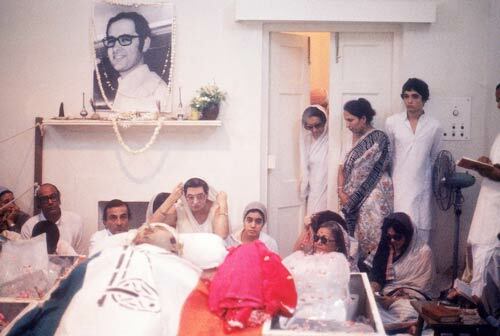 Yeah friends, I am talking about Sri Sanjay Gandhi………………WE NEED HIM TODAY. We need one Sanjay Gandhi in the present scenario of Indian Politics………………when seen India’s mild approach towards Pakistan and many more internal issues which are getting handled in a gentle, petty “Indian” manner. The absence of power politics, the youthfulness of politics are vanished from India, INDIAN POLITICS HAS TURNED OLD AND COLD . It is evident that for any form of major changes ruthless application of power and aggression is needed……………..human history of revolution had proved this so many times. Yeah its true, when attributed with absolute power it is seen many a times some abuses of it, Sanjay Gandhi was no exception………………..but in his limited life span he proved what he was made of………………………..his death decreased the power of his mom Mrs Indira Gandhi……………………politically and of course mentally…………..today after more than 30- 35 years of his death I firmly believe somebody equally powerful and ruthless like Sanjay Gandhi is needed in Indian politics to charge up the rest of the team ….be it in ruling party be it in opposition.